DESICO is building a legally compliant platform to issue and trade security tokens. What are their main competitors and how does it work: all answers are revealed in the article by Laimonas Noreika, CEO of DESICO. So what is DESICO? How does it work? DESICO is building a legally compliant platform to issue and trade security tokens. Startups from all around the globe will be able to conduct their security token offerings via our platform. A security token offering is a way to raise capital that has many advantages over initial coin offerings (ICOs) and venture capital funding. Experts agree that security tokens are the future of the blockchain market. They are a financial instrument, which is regulated and recognized by the authorities – security tokens are considered a real financial security. There are several companies working on bringing the widespread adoption of security tokens to the market – Polymath, tZero, and Securitize amongst others. DESICO’s advantage is probably the fact that we are leveraging the security token-friendly Crowdfunding Law of Lithuania a European Union member state, to create a platform where retail and institutional investors can invest in security tokens. However, I wouldn’t say that we are competitors – all these companies are working to make security tokens the next big thing and we are doing it together, just in different ways. Like many governments and financial experts, we believe in the potential of blockchain technology as well as the potential of security tokens. The Crowdfunding Law of the Republic of Lithuania, plus the progress-friendly approach shown by the Lithuanian government has created an environment in Lithuania where security tokens can be issued. 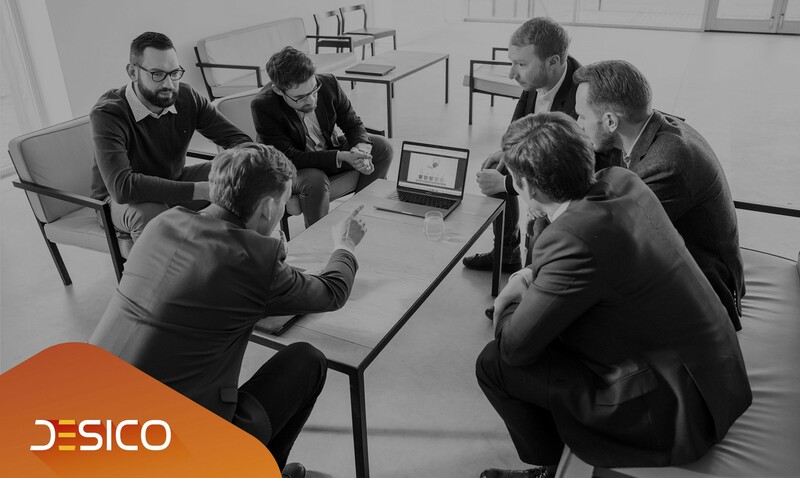 This is why DESICO was created by an experienced team that has extensive experience in banking, crowdfunding, and bringing new businesses to the market. We are planning to launch our platform in the first half of 2019. Currently we are conducting our own security token sale, which started on November 8th. Securities are a regulated market and we are pioneers of bringing security tokens into the market, so the biggest challenge we encountered was ensuring legal compliance. There are three main groups of customers that DESICO will serve. First of all, companies and startups that want to issue security tokens – we will provide them with an end-to-end infrastructure and all the available tools to issue security tokens. The other two major customer groups are institutional and retails investors who will be able to acquire these security tokens. DESICO is amongst the very first platforms to allow retail investors to buy security tokens. We have already received a lot of inquiries from potential clients. Especially from new and established businesses wanting to issue security tokens. We had initial seed funding from DESICO’s shareholders and now we are conducting our own security token sale to fund the further development of our platform. DESICO was founded by Laimonas Noreika, Audrius Griškevičius and Darius Noreika. They have all have worked together to successfully create and scale FinBee, which is one of the best performing crowdfunding platforms in Europe. Other core team members include Dr. Vytautas Šenavičius, one of the best lawyers in Lithuania when it comes to financial litigation, Vytautas Matulevičius who is a communications and marketing professional with multiple awards and over 10 years of experience, and Donatas Tamelis, who is a digital marketing guru and the founder of one of the biggest digital agencies in Lithuania – iProspect. We have a team of over 15 professionals who are experienced in marketing, development, and building wide-scale projects. After we successfully close our securities sale round, we will focus on building our platform and bringing it to the market as soon as possible – this will most likely be in the first half of 2019.